"The best puzzle is not merely a mysterious crime but an impossible one - the kind where the murder takes place in a locked room, or in an unapproachable place, or at a non-existent time, or under conditions when there are no possible suspects." Isaac Asimov headlines the list of editors that also includes Charles G. Waugh and Martin Harry Greenberg. 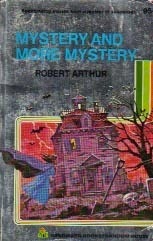 Published in 1982, Tantalizing Locked Room Mysteries features 12 short stories of the genre including Edgar Allan Poe's Murders in the Rue Morgue, Jacques Futrelle's Problem of Cell 13, and many more established classics. Mixed in are a selection of lesser known works, but mystery fans will recognise many of the author names. A brief review of each story is detailed below, as well as links to those works that are available online for free. Story and full review available for free here. A genre defining story that has been emulated countless times by later authors. One of the few Sherlock Holmes stories to feature a true locked room mystery, the solution is a bit of a disappointment. One of the finest examples of locked room mystery fiction. Gradually building tension as the hotel phone operator and manager go to investigate, Kantor's short story has a simple solution that, while elegant, defies one of the cardinal rules of locked room fiction. Few authors can match the variation and ingenuity of Hoch's story premises, and The Leopold Locked Room is no exception. Following Captain Leopold as he is arrested for the murder of his estranged ex-wife, the story captures his sense of dread as the impossible nature of the crime slowly dawns. Edward D. Hoch was an American detective writer, responsible for almost 1,000 crime fiction short stories. He had over 450 stories featured in Ellery Queen Mystery Magazine, and was published in every (monthly) issue for 34 years without missing a single edition. It was during this time that The Leopold Locked Room was first published, and has been reprinted in several anthologies since. The short story is available in its entirety for free at Google Books (if page does not load correctly hit refresh). The sheer brashness of the crime - committing murder right in front of the detective, then framing him for it - is both astounding and delightful, and must be one of the strongest opening gambits in impossible crime fiction. Hoch's premise is so elegant that even detective begins to doubt his innocence. The last article on locked room mysteries in real life (available here) detailed a sinister real life crime that closely resembled a fictional story written almost two decades earlier. This post centres around the opposite case - a number of mystery writers attempting to create a rational explanation for a true unsolved crime. The case in question is the murder of Isodore Fink, a Polish immigrant who ran a laundry in New York in the early 20th century. 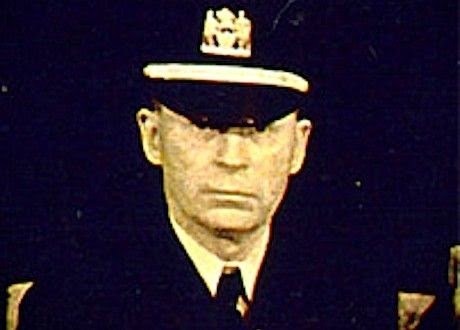 Fink died on 9th March 1929 in circumstances the NYC Police Commissioner called an “insoluble mystery”. 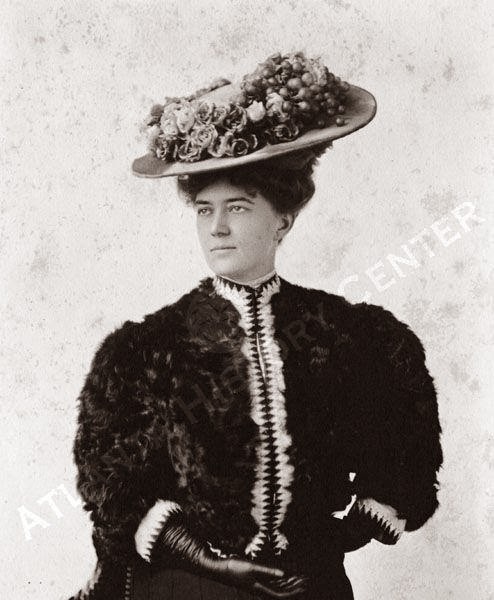 The case inspired both William March and Ben Hecht to write the fictional short stories "The Bird House" and "The Mystery of the Fabulous Laundryman". Isodore Fink was somewhat of a loner, having no friends or close contacts to speak of. Known as a recluse by the neighbours, he was also extremely security concious and had gone to great lengths to secure his apartment with bars over the windows and bolts across the door. Despite his precautions, he was shot in his home in a murder that has remained unsolved to this day. The details of the crime were as follows: Fink had returned home after running several laundry deliveries (he operated his laundry business from the same apartment), and put a hot iron on the gas stove. Soon thereafter, a neighbour heard screams and possibly the sound of blows (but no gunshots), and alerted a passing policeman. Finding the doors and windows firmly sealed, the officer noticed a transom window above the door and lifted a small child through it, who proceeded to unlock the door from the inside. 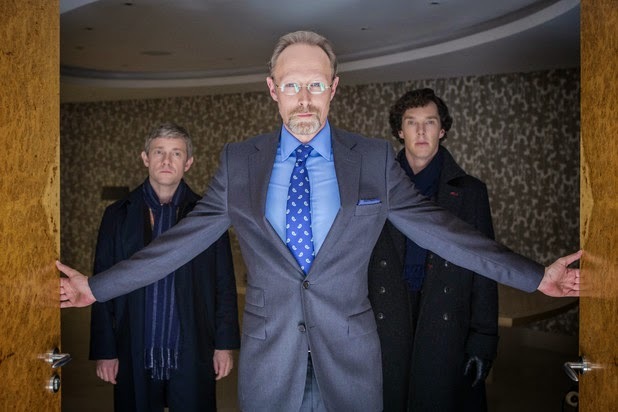 The BBC series Sherlock has picked up four Creative Arts Emmy Awards in Los Angeles. 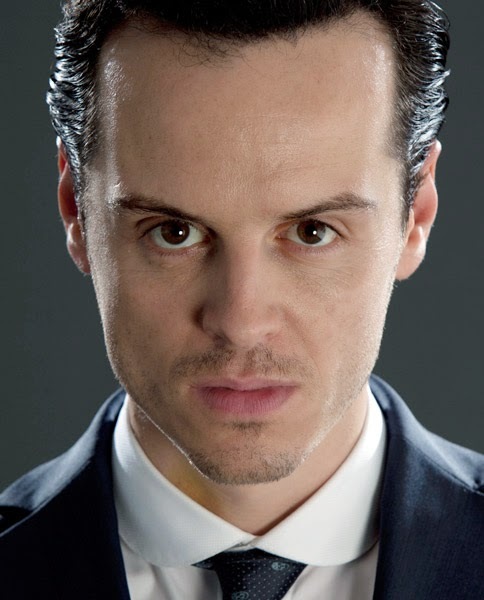 His Last Vow, the final episode of Sherlock's third season, won awards for music, cinematography, single-camera picture editing, and sound editing. The ceremony, which takes place one week before the main Primetime Emmys event, honours TV guest stars and behind-the-scenes crew members. Other winners include Uzo Abuda from Orange is the New Black, and Jimmy Fallon for hosting Saturday Night Live. True Detective, Game of Thrones, and the documentary Cosmos: A Spacetime Odyssey also picked up a number of trophies. Based on Arthur Conan Doyle's short story "The Adventure of Charles Augustus Milverton", His Last Vow pits Sherlock against the villainous Charles Augustus Magnussen (played by The Killing's Lars Mikkelsen). More information can be found on BBC News, and Sherlock Season 3 is available to purchase from Amazon (UK) and Amazon (US). HarperCollins have just acquired the publishing rights to The Golden Age of Murder, a real-life detective story investigating how Agatha Christie and her colleagues in the secretive Detection Club transformed crime fiction. Written by the award-winning crime writer Martin Edwards, the book will detail how authors of the time produced books that cast new light on unsolved murders whilst hiding clues to their own darkest secrets. Edwards is the author of 17 crime novels and 8 non-fiction books. 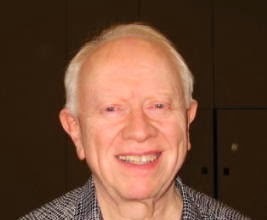 He is also Archivist for both the Detection Club and the Crime Writers’ Association, and is a renowned expert on Golden Age detective fiction. 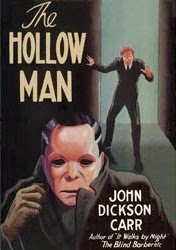 Speaking exclusively to TheLockedRoom.com, Edwards said "Locked rooms, like clue-finders and challenges to the reader, were all part of the fun and games of Golden Age fiction which I've enjoyed researching and writing about in 'The Golden Age of Murder'." David Brawn, Publisher of Estates at HarperCollins, commented: "This ground-breaking study of detective fiction from between the wars captures how the social and political turbulence of the times impacted on authors and the appetites of their readers. Martin’s revelations about many of these colourful and turbulent writers, whose risky private lives inspired their more daring novels, provide a whole new insight into the generation of authors who created the prototypes for books we all still love today." The Golden Age of Murder is currently available to pre-order on Amazon.com. It will be published in hardback in May 2015. Martin Edwards' blog is available at DoYouWriteUnderYourOwnName. 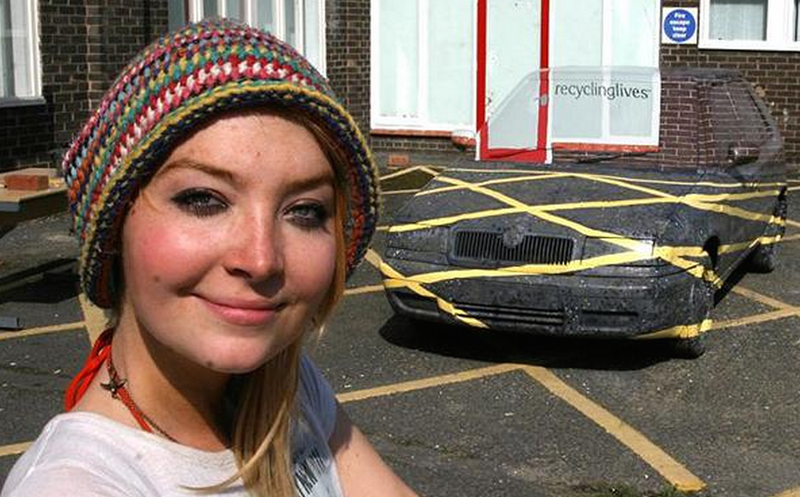 Two women are brutally murdered in a locked flat. With the door barred from the inside how can the killer have committed such a heinous crime, then escaped without a single witness? 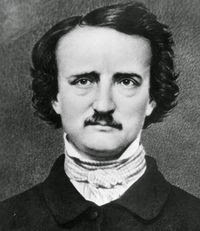 Widely recognised as the first modern detective story, Poe's story developed plot devices (murder in a locked room, the final deduction and revelation) and character traits (the brilliant detective, his friend and narrator) that would later be widely emulated by many authors of the genre. 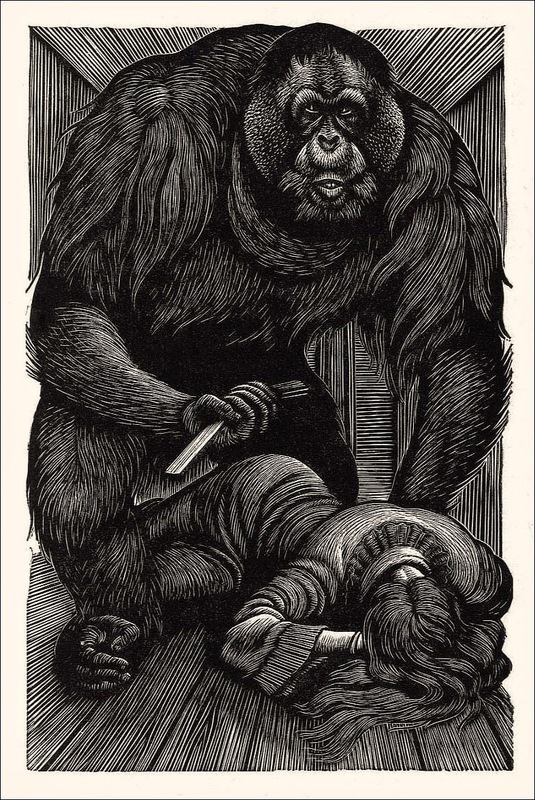 Following the thought process of budding detective C. Auguste Dupin, Murders in the Rue Morgue leads the reader through the set-up of the crime, the depositions of the building's tenants, and finally the deductive reasoning that leads to the solution. The short story is available in its entirety for free at Project Gutenberg, PoeMuseum or ClassicLit. If you want to read on your Kindle you can download it here (send to Kindle instructions here). Despite the story beginning with a somewhat indulgent lecture on the power of analytical reasoning, Poe's text has aged well. Introducing us to many of the concepts that are now genre staples, Poe manages to disseminate his ideas clearly (the word "detective" didn't even exist at the time) while keeping the story moving. For the modern reader the text is both accessible and detailed, proving an interesting snippet into the literature of the time. 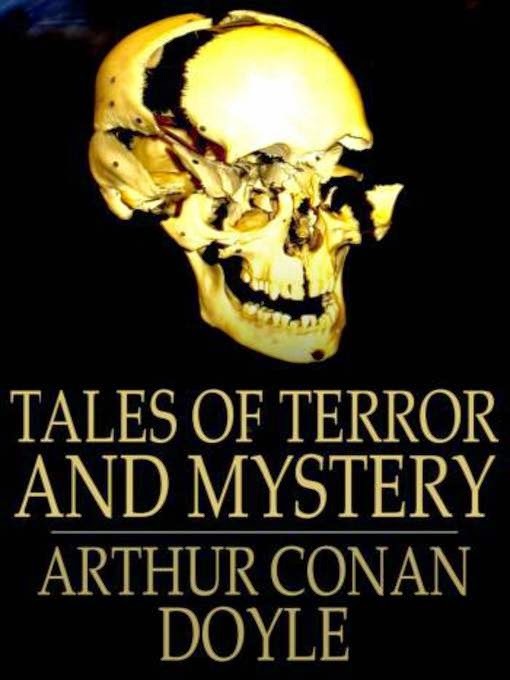 Continuing the series created by his father, Adrian Conan Doyle wrote a number of Holmes stories alongside impossible crime maestro John Dickson Carr. 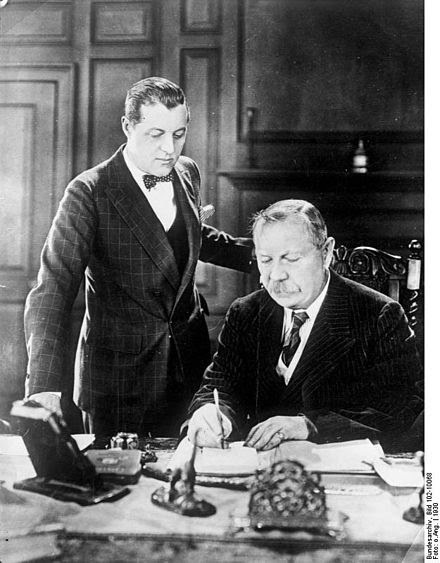 Adrian Conan Doyle with his father, Arthur. In The Adventure of the Sealed Room, Holmes finds himself swept up in a case centred around a classic locked room mystery. Colonel Warburton is found in a sealed room with his badly wounded wife, gun still in his hand. "Of all the problems which have been submitted to my friend, Mr. Sherlock Holmes, for solution during the years of our intimacy, there were only two which I was the means of introducing to his notice -- that of Mr. Hatherley's thumb, and that of Colonel Warburton's madness." The short story is available in its entirety for free at Narod.ru or UNZ.org. Very few of the original Sherlock Holmes stories involved locked rooms in the classic sense, but thanks to Adrian Conan Doyle's partnership with John Dickson Carr we have a number of stories pairing the infamous detective with the quintessential conundrum. Compiled by Douglas Greene and Robert Adey, Death Locked in is an anthology of locked-room mysteries. Featuring stories written across the centuries, the book provides some insight as to the origins of the genre, development during the "golden age of detective fiction", and a few more recent examples. Each story is preceded by an introduction to the author, and a brief description of the context in which it was written. The body was found in a room with the door locked and the windows sealed from within. Only the corpse is there. Clearly murder was done, but where is the murderer? Who could have done it? That's the classic locked-room situation, the impossible crime. That too is why the locked-room story never ceases to delight and entertain us. 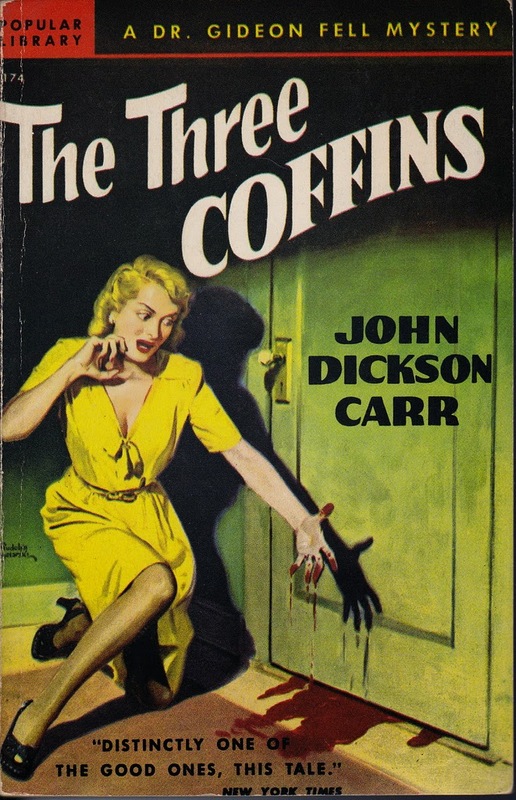 The absolute master of the genre, John Dickson Carr, once wrote that the detective story has three qualities seldom found in the thriller: fair play, sound plot construction, and ingenuity. 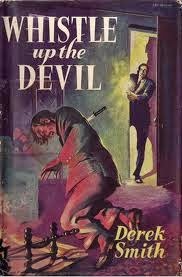 And in no other form of the detective story is ingenuity as important as in the locked-room crime, for it is here that the author challenges the reader to what Carr called "the grandest game in the world". Not just whodunit, but how? Since the 19th century, tales of impossible crimes have exerted a fascination upon authors and readers alike. The corpse in a locked room is just a starting point. How about a person entering a house and then completely disappearing? Or the body found strangled in the middle of a beach surrounded by unmarked sand? In DEATH LOCKED IN, ingenuity faces the impossible. The gates of the unknown are thrown open, ghosts walk, and witches's curses seem real. Crimes are committed that have no rational, human explanation. Or so it seems ... until the most ingenious of detectives appears on the scene. Sound interesting? Then come on in. One thing is certain: you won't need a key. At over 550 pages, Death Locked In is fantastic value for any mystery fan. 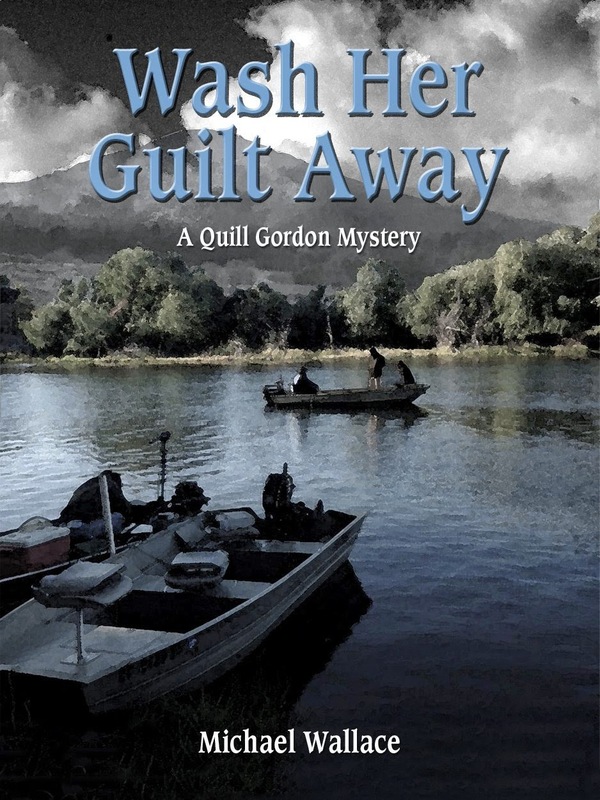 The sheer quantity and variation of the stories is superb, and the small nuggets of insight by the editors before each mystery are both interesting and well-researched. Originally published in Doyle's Tales of Terror and Mystery, The Lost Special follows the confession of Herbert de Lernac as he recites the details of his masterful plan. The story features an implied cameo by Sherlock Holmes (no name is mentioned, but an "amateur reasoner" writes "It is one of the elementary principles of practical reasoning that when the impossible has been eliminated the residuum, HOWEVER IMPROBABLE, must contain the truth"). The short story was also recently adapted in the BBC series Sherlock, with the titular character investigating the disappearance of a London tube carriage. The short story is available in its entirety for free at Project Gutenberg or East of the Web. If you want to read on your Kindle you can download it here (send to Kindle instructions here). The concept of The Lost Special is a strong one - a train vanishes on a straight line with no rational explanation. A similar setup was used by Jacques Futrelle in his 1907 short story The Phantom Motor (available here). Unfortunately for Doyle, Futrelle's solution offers a much more unusual and satisfying resolution. 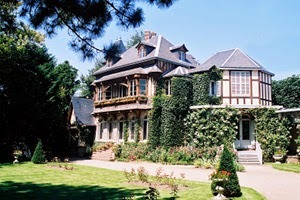 Professor Charles Grimaud was killed in his study by a mysterious figure. The intruder is seen entering the room, then vanishes in to thin air. Fell and co are quick to inspect the scene, but find no possible route of escape. The illusionist Pierre Fley is shot from point blank range on a snow covered street a few minutes from the scene of Grimaud's death. Witnesses at either end of the street confirm that there was no-one around Fley at the time of shooting, but the angle of the gunshot wound means it cannot have been self-inflicted. 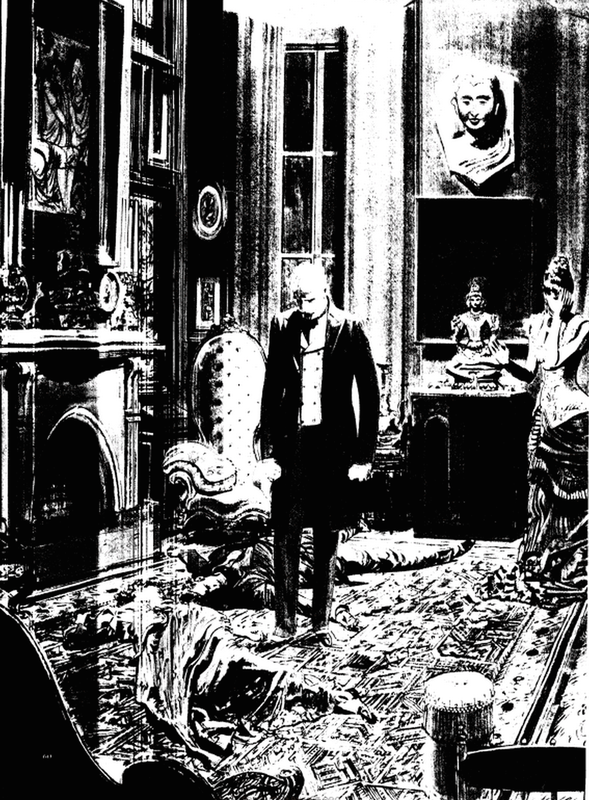 Shipping magnate Laurence Wilberforce is murdered in his study. With the door locked and bolted from the inside, how can his killer have escaped? David Stuart Davies is a British writer known for his various additions to the Sherlock Holmes canon. 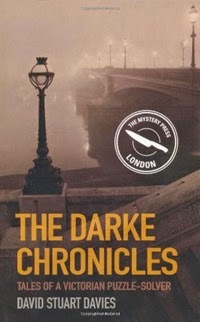 The Darke Chronicles, one of Davies' novels missing the famous detective, follows amateur sleuth Luther Darke as he investigates weird and wonderful cases in Victorian-era London. The Curzon Street Conundrum is the first of seven stories, and is available for free as a preview to the novel. 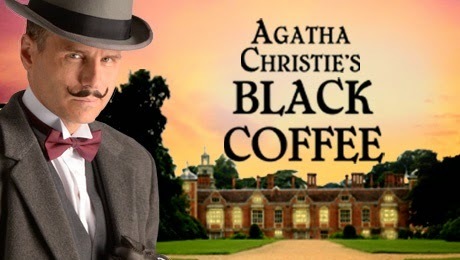 In the story the wealthy businessman Laurence Wilberforce is found stabbed in a sealed room. With no windows or possible routes of escape, it seems that the killer has vanished from the scene of the crime. The short story is available in its entirety for free at Google Books. The Curzon Street Conundrum, despite featuring a very brief prologue from the perspective of the dying victim, takes a little while to reach its core concept. When it does, however, the set-up is a classic one. The victim has been stabbed, the room was most definitely sealed, and suicide looks very unlikely. We follow Darke as he is led through the details of the case, talks to the various suspects, and eventually reaches his conclusions on the method. 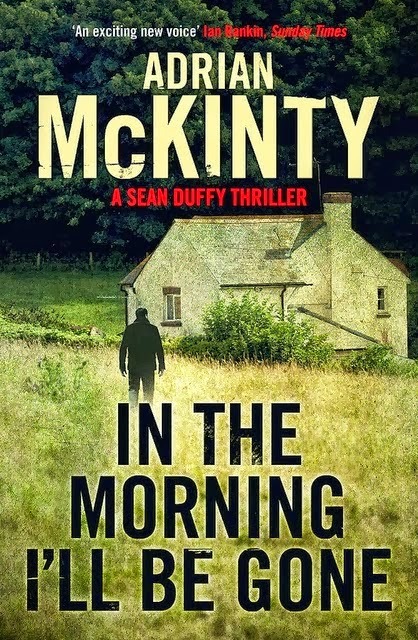 The final entry of a trilogy of books starring the battle-worn detective Sean Duffy, Adrian McKinty's In The Morning I'll be gone is the first to feature a locked room mystery. The core of the book focuses on the manhunt of IRA bomber Dermot McCann, but Duffy is pulled off on a tangent as an informer promises the location of McCann in exchange for re-opening the case of her daughter's death. This series of articles explores the bizarre occurrences in which real events bear close resemblance to fictional locked room mysteries or impossible crimes. 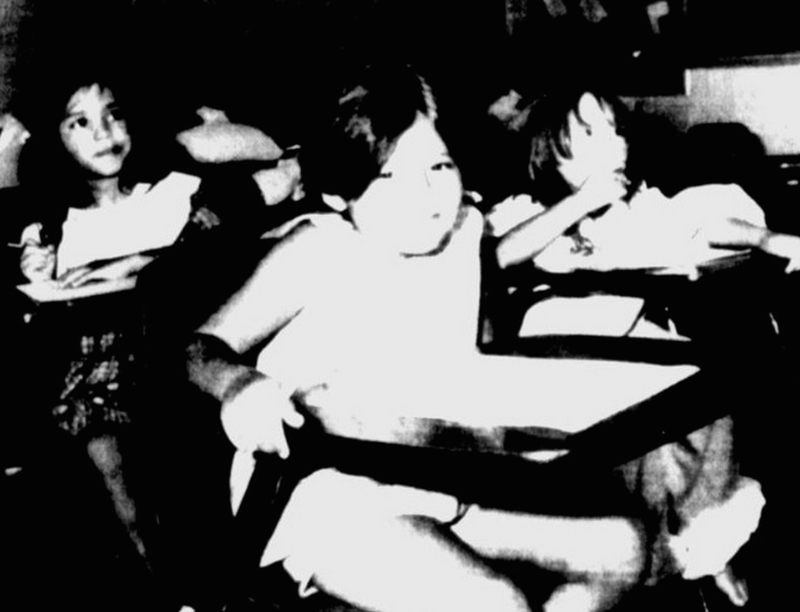 In this example, a bus of children disappears in circumstances eerily similar to Hugh Pentecost's short story "The Day the Children Vanished". Some of the children resting at the Santa Rita prison farm. Hugh Pentecost's short story, originally published in 1958, centres around a core mystery - a bus of schoolchildren is seen driving onto a waterside stretch of road flanked by a high wall, but fails to come out at the other end. The road is searched, but no sign of the bus remains. With no possible turns or exits, the disappearance is as puzzling as it is terrifying. Some of the children's clothes are discovered in a nearby quarry, but again the bus is nowhere to be found. It's been a busy few months here at TheLockedRoom.com, with a plethora of free stories, articles and reviews. Below I have listed links to the most popular posts, and categorised them for easy browsing. 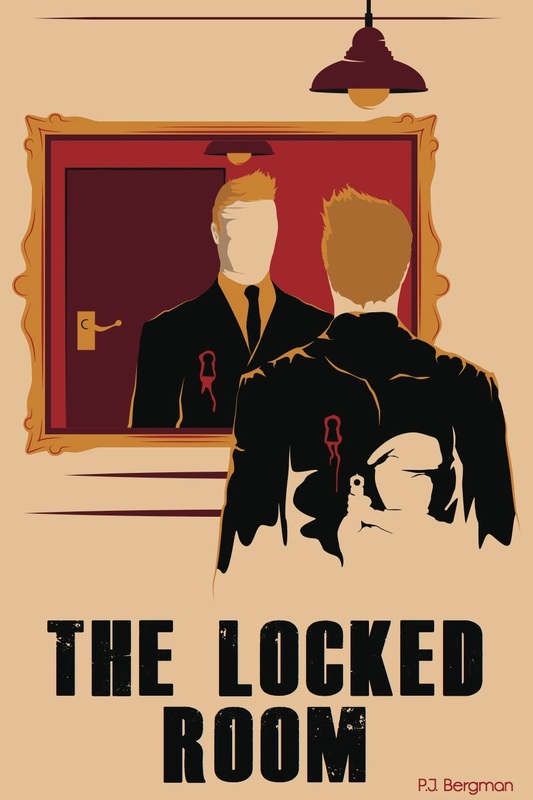 I posted the initial three chapters of my upcoming novel "The Locked Room". Chapter 1 - Private Eye introduces the reader to Kenneth Rhys as he investigates the mysterious ambush of a U.S. Marine. Chapter 2 - Diagnosis Cancer follows Rhys as he finds himself at the centre of an impossible escape attempt. In Chapter 3 - Window of Opportunity suspicion is raised on an apparent murder-suicide, but the prime suspect was nowhere near either victim. You may also have noticed the rebranding of the site to match the temporary cover design. Many thanks to all of those who took the time to offer feedback on both the book and its cover. One set of footprints leads to the scene of a disturbance, and a different set leads away. With the victim missing, where is the body? And how did the assailant traverse over fields of snow without leaving any footprints? The penultimate story of Leblanc's "Eight Strikes of the Clock" collection, Footprints in the Snow is an intriguing mystery featuring a number of unexplained events. The crux of the case relies on the tracks (or lack thereof) left in the snow surrounding the isolated scene. 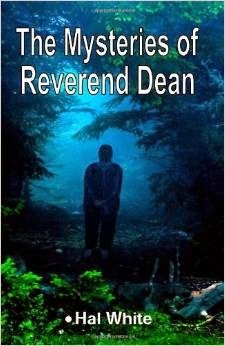 The local police are quick to form an explanation for the events, but when witness testimony contradicts their theory it is up to Prince Renine to once again uncover the truth. The short story is available in its entirety for free at Project Gutenberg or WikiSource. If you want to read on your Kindle you can download it here (send to Kindle instructions here). Footprints have long been a favourite trope of impossible crime authors. Leblanc's story fits within the classic mould - the prints in the snow surrounding the scene do not match the perceived series of events. While Leblanc does create a logical and (mostly) believable solution, the method used to deceive the investigators is a little tired. 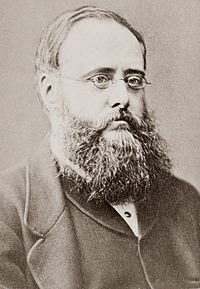 Wilkie Collins was a prolific writer and personal friend of Charles Dickens. The two collaborated on a number of projects, with Collins once proposing "We saw each other every day, and were as fond of each other as men could be." A Terribly Strange Bed was first published in an 1852 edition of Dickens' magazine "Household Words". The story follows an amateur gambler named Faulkner who, after an incredible run of luck, finds himself celebrating a significant win with a new acquaintance. The short story is available in its entirety for free at Nagoya University or Project Gutenberg. If you want to read on your Kindle you can download it here (send to Kindle instructions here). Told from the perspective of the intended victim, A Terribly Strange bed is more psychological horror than impossible crime. Faulkner's increasing level of intoxication, and apparent naivety to the intentions of his new found friend, creates a palpable sense of foreboding that serves well to set up the night in the titular bed. 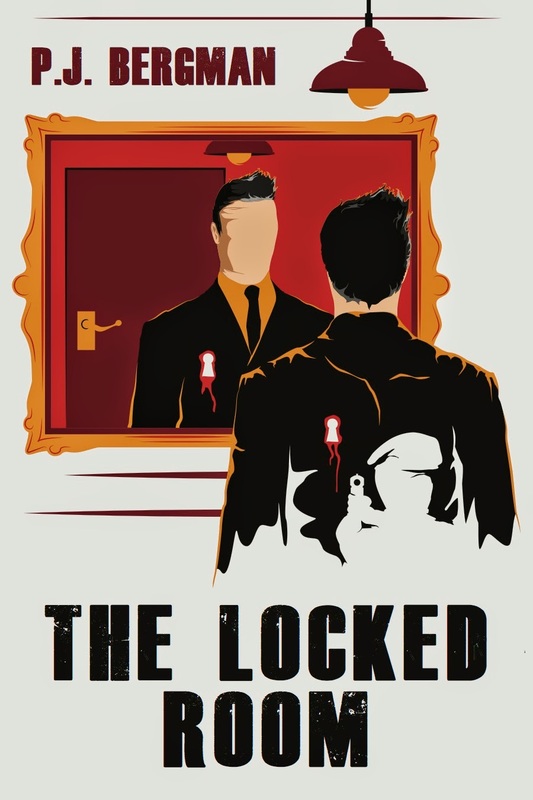 I've just received the latest cover design for The Locked Room, so thought I'd share it below. 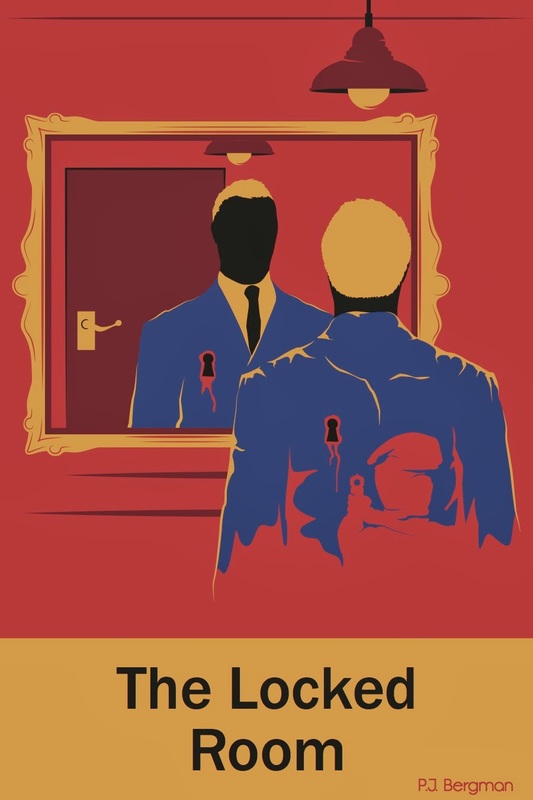 Designed by Cameron Gibson, the cover integrates a number of motifs from the locked room genre - the victim is seemingly alone in a room but attacked by an unknown assailant, the use of mirrors or illusions, and the keyhole symbol that has been utilised in a number of previous works. The style was inspired by the illustrations of Matt Taylor, an English artist who creates colourful pieces based on popular culture and has worked for companies such as Adidas, Google, GQ, Wired, and many more. You can view some of Matt's work on his website, www.MattTaylor.co.uk. the features of the character. the character, and tweaked the layout. I'd love to hear some opinions so feel free to leave a comment below. 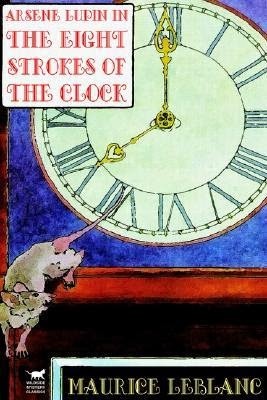 This locked room mystery is one of a selection of short stories available in The Eight Strokes of the Clock by Maurice Leblanc. The book follows the exploits of adventurer Serge Renine and his companion Hortense Daniel as they investigate bizarre and intriguing mysteries. 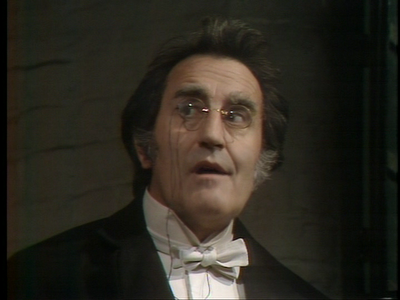 Leblanc introduces the book by saying the stories were told to him by Arsene Lupin, a fictional character from Leblanc's other works. Given the similarities Leblanc suggests that the resourceful adventurer may in fact be Lupin himself. The book was selected by Ellery Queen as one of the top 125 most important detective/crime/mystery fiction works, and features eight stories which I will cover in more detail in a separate post. Therese and Germaine is one of only a couple of locked room mysteries within the collection, however the other stories are well worth a read for mystery enthusiasts. Therese and Germain takes a little time getting to its core mystery, choosing instead to focus on the characters involved and the impending nature of the crime. The set-up is a little contrived (Renine overhears the would-be-murderers plotting their crime on a train), especially considering Renine hears just enough to confirm that a crime will be committed without learning who the victim or attacker will be. This exclusive short story is the second chapter of my upcoming novel, The Locked Room. The first chapter, "Private Eye" is available to read online for free here. The short story is available in its entirety below. If you want to read on your Kindle you can download it here (send to Kindle instructions here). The previous chapter, "Private Eye" is available here. Three months after Allsop’s death I was once again standing on the shining gloss tiles of the LAX arrivals lounge. Coming home was always a strange feeling. Locations were familiar yet enough time had passed for them to inherit a certain alien quality. My mind associated civilian airports with temporary solitude - mandatory downtime spent in a series of sterile apartments before an assignment came in and I was shipped off to my new station in another corner of the globe. The permanence of my arrival on this occasion was a little bewildering. There's been a bit of criticism levelled at the central mystery of Sherlock - The Sign of Three. The crime has been called both unrealistic and impractical. In an unlikely case of truth proving stranger than fiction, the events in Sherlock - The Sign of Three are actually based on a real-life crime. 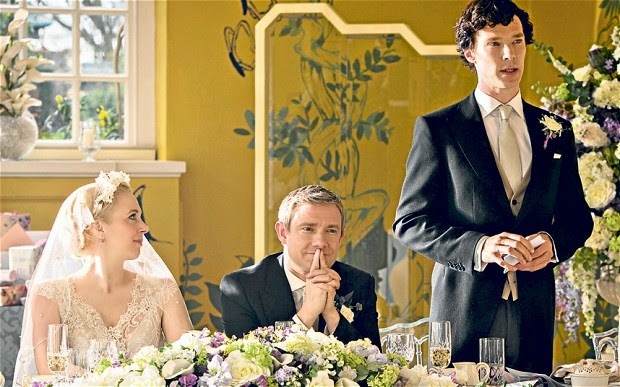 Sherlock's best man speech. What could go wrong? The primary case(s) at the heart of The Sign of Three is the death of Private Bainbridge of Her Majesty's Household Guard. Killed in a locked shower with no sign of the murderer, Sherlock begins to suspect the murderer could strike again at John's wedding. 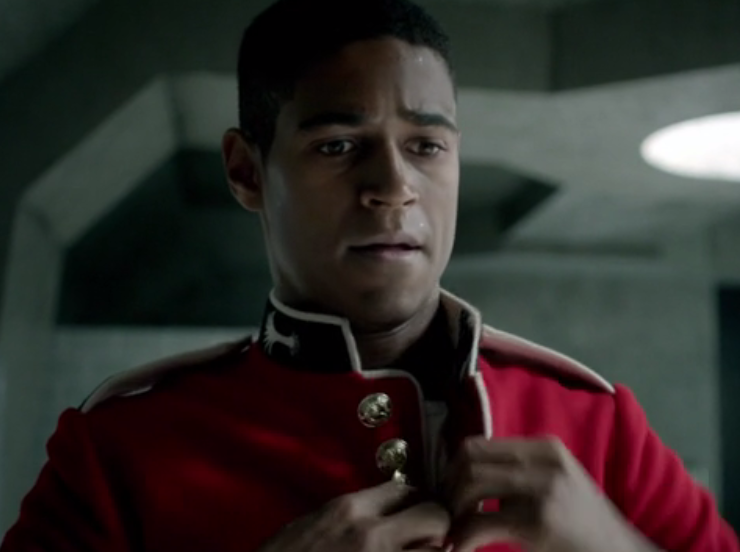 Sherlock identifies the potential second victim as Major James Sholto, and manages to determine the method of the crime before Sholto is killed. The concept of the case is a classic locked room mystery (Sherlock even refers to it as such upon finding Bainbridge's body). The method - the victim was stabbed by a very sharp blade that penetrated his uniform imperceptibly - fits neatly within the "fatal wound was inflicted prior to the victim entering the locked room" category. The Sign of Three offers a slight twist on this format by making the victim(s) unaware of their wounds (their tight fitting uniforms act as a tourniquet and prevent blood-loss while worn). Magic and impossible crimes share many of the same characteristics - both bending our perception of reality to accomplish the seemingly impossible feats. Now You See me happens to share staples more than most, following a group of magicians (The Four Horsemen) as they steal millions of dollars, outwit the authorities, and entertain the public with outlandish shows. Starting in Las Vegas and ending in New York (by way of New Orleans), the plot centres around three heists committed during the Horsemen's live stage performances. In the first, they mysteriously teleport an unsuspecting witness to his bank in France before showering their audience with the vault's content. In the second, they hack the bank account of a millionaire and wire his money to the individual accounts of their audience members. Finally, they steal a reinforced vault from within a warehouse and use the cash within to frame an unfortunate pleb for their crimes. Each of the robberies require a significant suspension of disbelief, however the first and third both use techniques familiar to locked room fans. The film glosses over them quite quickly in its rush to display the glamour of the magic shows, though does feature some satisfying twists. The car chase in the final third of the movie in particular features a clever mechanic (the plot kind, not the automotive kind) that adds a "whodunit" element to the concluding heist. Speaking of whodunits, the film teases the possibility of a mastermind behind the magicians' antics, a "fifth Horseman". A few characters are highlighted as potential candidates before the culprit is revealed at the end of the film. Unfortunately this fits very much into the "least likely suspect" that doesn't bother itself with believability or logic. The movie may have benefitted from avoiding this aspect altogether as it is both unnecessary and groan-inducing. On a more positive note, the cast seem to be having a ball. The star power has to be seen to be believed - Jesse Eisenberg, Woody Harrelson, Mark Ruffalo, Morgan Freeman and Michael Caine all feature, with up-and-comers Melanie Laurent and Dave Franco also contributing. Production values match the talent on show, though reducing the amount of CGI during some of the magic tricks may have improved their believability. A sequel is reported to be in the works, with filming beginning in September this year. Many of the original cast are rumoured to be returning, and it will be interesting to see how the creators up the stakes from the first outing. 8/10 - Flashy, inventive and entertaining, but slightly let down by a face-palmingly implausible twist ending. 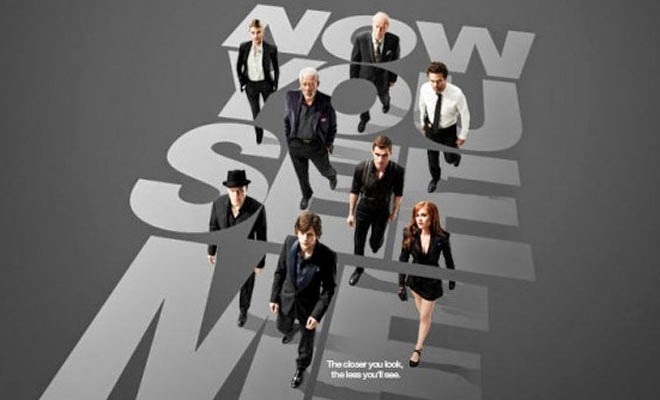 Now You See Me is available on DVD from Amazon (UK) and Amazon (US). 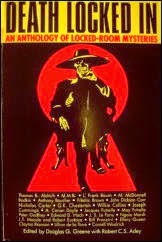 Taken from the collection of Jacques Futrelle's Thinking Machine stories, The Phantom Motor only briefly features the renown detective. Primarily focusing on the two policemen that reside either side of a thin stretch of road, the plot follows the confusion and frustration of the first policeman as he tries to convince his colleague of the seemingly impossible. The short story is available in its entirety for free at Futrelle.com or Adelaide.edu. If you want to read on your Kindle you can download it here (send to Kindle instructions here). The concept is really strong - a car is seen going onto a road that is surrounded by high walls on both sides, but disappears without a trace before coming out the other end. I'm not sure the solution can quite live up to the high expectations the concept generates. The reveal - explaining of how the events occurred - is often the most rewarding part of a locked room mystery or impossible crimes story. The key to an edifying ending is ensuring the method is both ingenious and feasible. While there have been a huge variety of solutions proposed by the multitude of authors operating within the genre, very few have been replicated in reality. As with any fiction, the methodologies don't have to have happened to be creditable. The audience just have to believe that they could happen. Maintaining realism is key to keeping the reader engaged with the story - if the world of the story operates within the same laws as our world we have a fair chance of figuring out the solution prior to the reveal. Perhaps it is the somewhat contrived nature of the genre that means crimes are rarely attempted outside of fiction. Stories tend to overcomplicate what could more easily be accomplished in an attempt to provide the reader with a fulfilling story. That being said, there are a few impossible crime stories that have striking similarities to real life events. The Duel of Shadows is a short story, originally published in Pearson's Magazine in 1934. Written by Vincent Cornier, it covers the inexplicable shooting of Henry Leonard Westmacott who was seemingly attacked by an invisible assailant while dozing in an armchair. I wasn't able to find too much information about this story or its author, however enjoyed the tale and thought I'd include it here. The narrative is told from the perspective of Gavin, an investigator for an insurance company. While on holiday Gavin challenges his friends to solve the case behind an insurance claim that he had previously worked on. The short story is available in its entirety for free at With A Twist. Holiday Puzzle... is a well written short story that works its way through the events leading up to a life insurance claim. Told in retrospect by the insurance claim assessor (Gavin), it provides a unique viewpoint from which to analyse the crime. There aren't too many examples of locked room mysteries in modern movies, but Inside Man gives us a great one. The film follows Clive Owen's Dalton Russell as he pulls off "the perfect bank robbery". Russell is pitted against Detective Keith Frazer, a likeable and world-weary negotiator played by Denzel Washington. 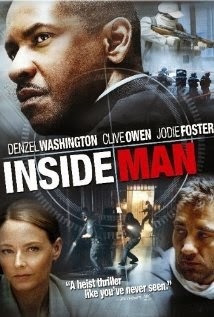 Wasting no time getting to the crime itself, Inside Man shows us the action from both inside and outside the bank. Russell and his team of thieves manage the hostages and execute their plan as Frazer and co. set up perimeters on the surrounding streets. 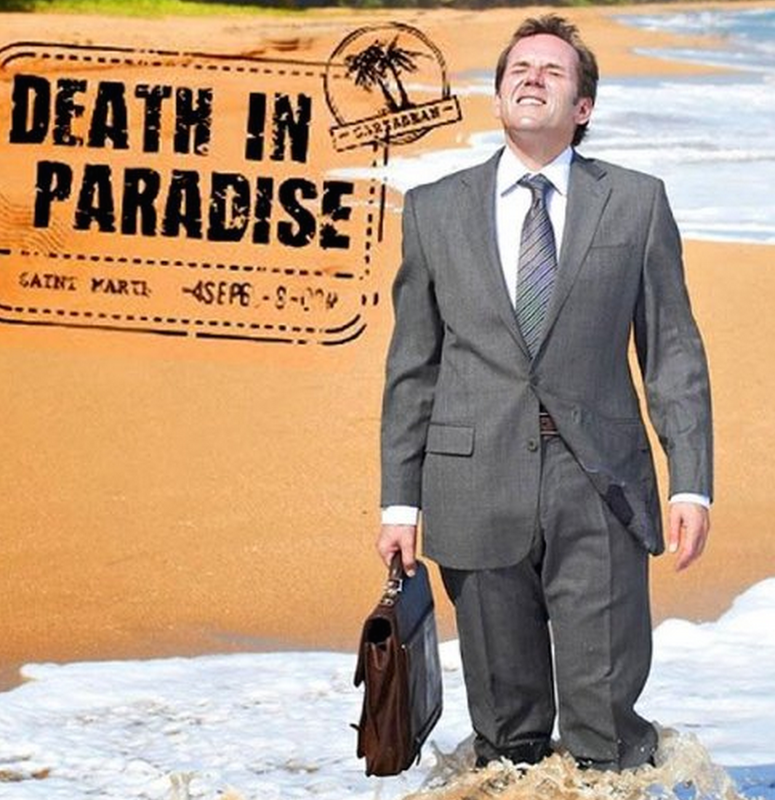 Death In Paradise offers a nice twist on the detective story by relocating to the fictional island of Saint Marie. Ben Miller stars as Inspector Richard Poole, the fish-out-of-water Englishman who is charged with leading the local police force (a grand total of three people) and solving the various mysteries that frequently occur on the island. Right from the off, mysteries include locked rooms and other impossible crimes. It's great to see the genre still going strong (Season 1 averaged about 6 million viewers per episode on BBC) on the small screen.